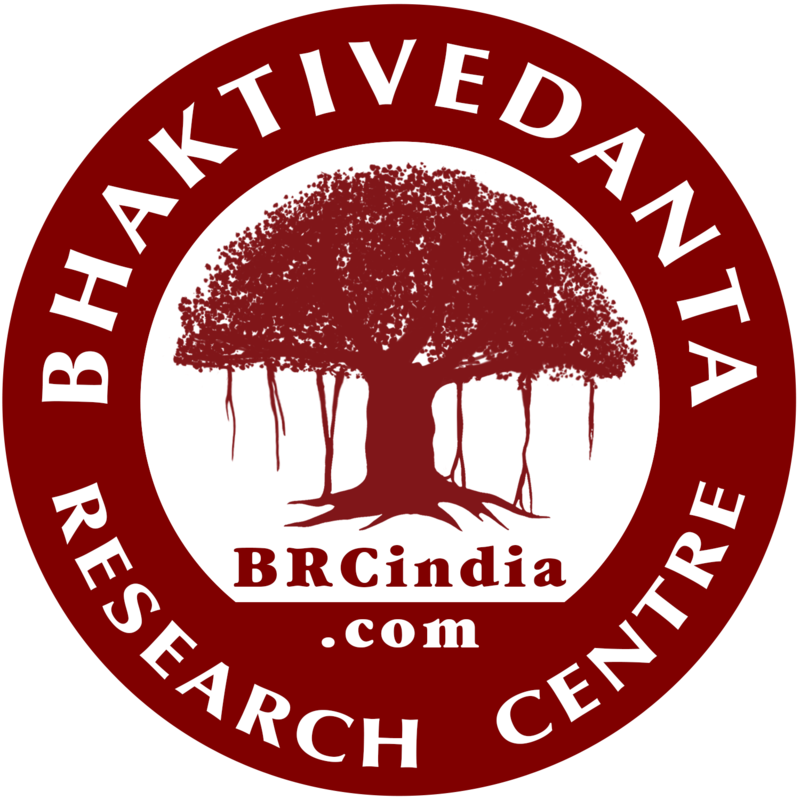 Bhale Bharath, a non-religious socio-cultural mission based in Bangalore, recently conferred the Bhale Bharath Award of Excellence to Bhaktivedanta Research Centre on the 15th of March, 2017 at Seshadripuram College, Bangalore. 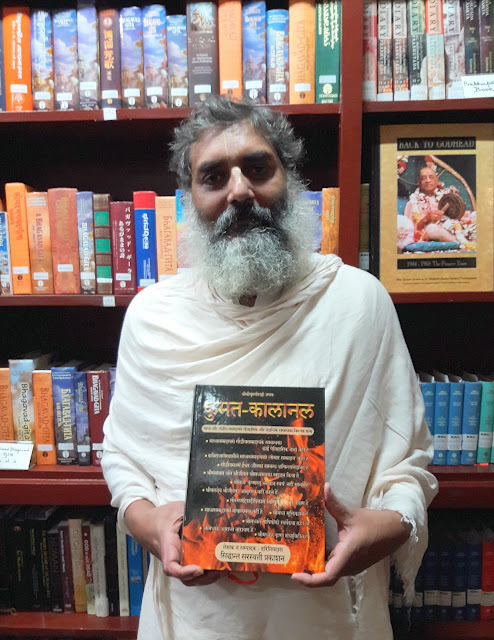 BRC was honored for its outstanding contribution in the preservation and dissemination of ancient Indian Cosmology, Vedic Wisdom and Vaishnavism. Sriman Gangadas Prabhu received the award behalf of BRC. During the interactive session, Sriman Gangadas Prabhu explained the mission of BRC and its activities and he has invited the students and researchers to visit BRC. We’re grateful for the nomination from the Indian Science Monitor team led by Dr. T.K. Rajan. BRC Manuscripts Mission team has recently finished their latest project in Chinsura Kisorpragatisangha Sahar Granthagar, a 100-year-old library in the Hoogli district of West Bengal. It is maintained by Kishor Prayati Sanga. Chinsura Kisorpragatisangha Sahar Granthagar Librarian, Roma Das with her assistant Kamalika Dey. 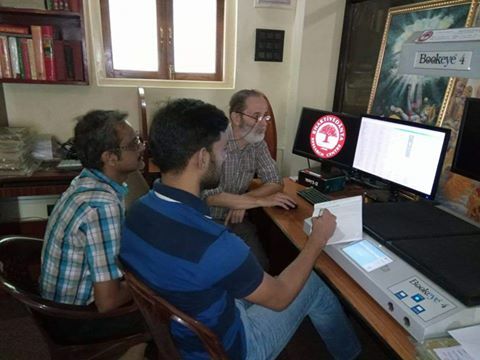 It was an especially fruitful undertaking for our team as an extensive collection of Vaishnava manuscripts was uncovered, cataloged, and digitized. It was the first time they had found an entire manuscript collection solely related to Gaudiya Vaishnava philosophy. "In all of West Bengal, we have not found anything else like this," said Smt. Bharati Roy, BRC's Archivist and Assistant Librarian. 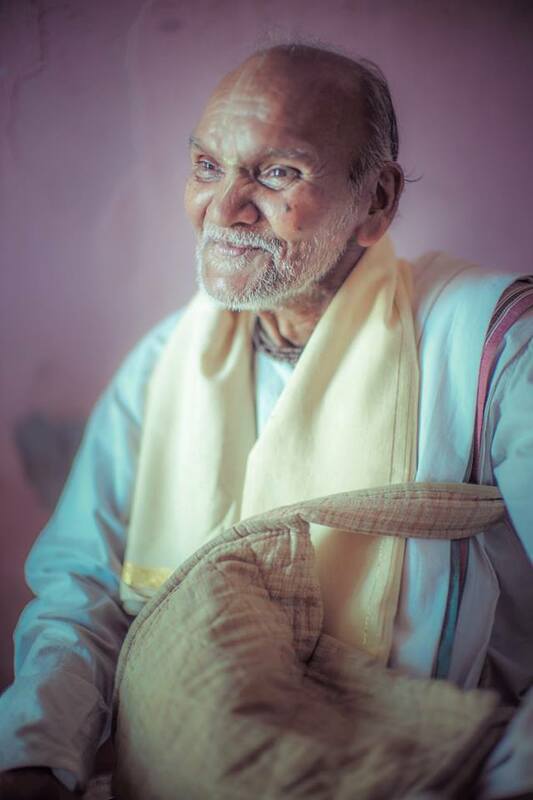 We received the news of Fakir Mohan Prabhu's departure in November (2016) with heavy hearts. It seemed as though no time had passed since he had sat with us in our library. Fakir Mohan Prabhu was a foremost scholar on the life of Srila Bhaktivinoda Thakura and he re-discovered the family Deities of Srila Bhaktivinoda Thakura, Sri Sri Radha-Madhava. Read more about this here. Fakir Mohan Prabhu was a not an exclusive member of a particular group or mission and never initiated any disciples. He was a naistaka (lifelong) brahmachari and intimate friend of many revered Vaisnavas from both ISKCON and Gaudiya Math. He was one out of only 4 initiates of Srila Bhakti Prasad Puri Goswami Maharaj, a disciple of Srila Bhaktisiddhanta Saravati Thakura. He was born in 1932 at midnight on Janmastami. His best friend from childhood was Srila Gour Govinda Swami, They once made a pact to run away from home and become a sadhus together. After Fakir Mohan Prabhu's parents sent the police after him, they locked him up in a room so he could not escape again. 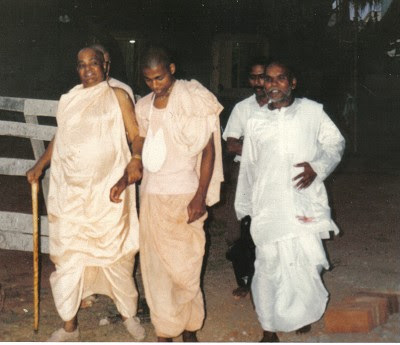 He later convinced his father to donate him to the nearby Gaudiya Math temple when he was aged 12. It is truly a loss from this world to have him depart from our vision, but likely a great delight to those great souls welcoming him to their transcendental place. Srila Gour Govinda Swami appreciated Fakir Mohan Prabhu's scholarly research into Vaisnava topics a great deal. He once stated, "no one knows as much about Mahaprabhu as the respected Professor. " 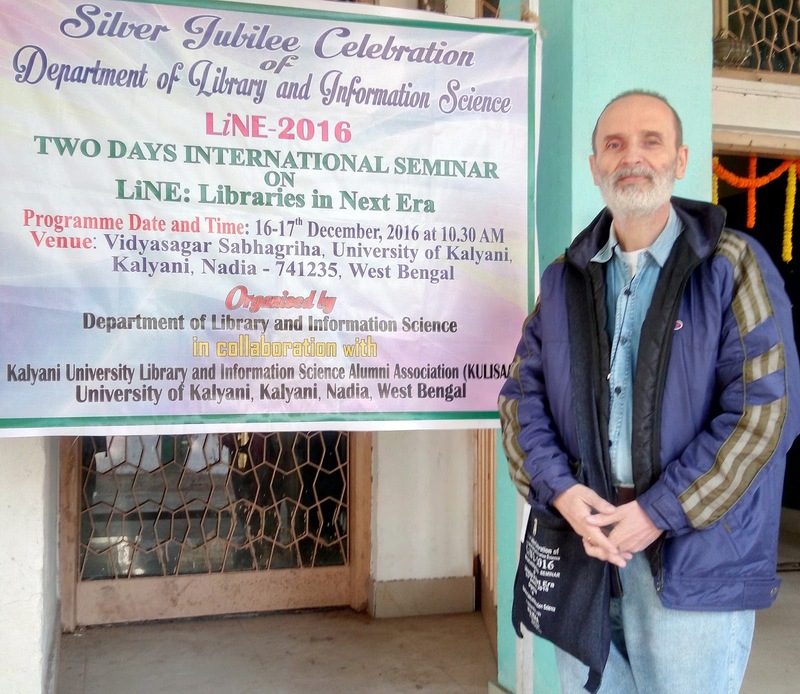 We are proud to announce that Kalyani University recently invited out Head Librarian to attending their International Seminar on Library and Information Science that took place in mid-December, 2016. We are happy to avail opportunities such as these so that we can stay up to date with the latest technical developments and expand networks related to our field of service.